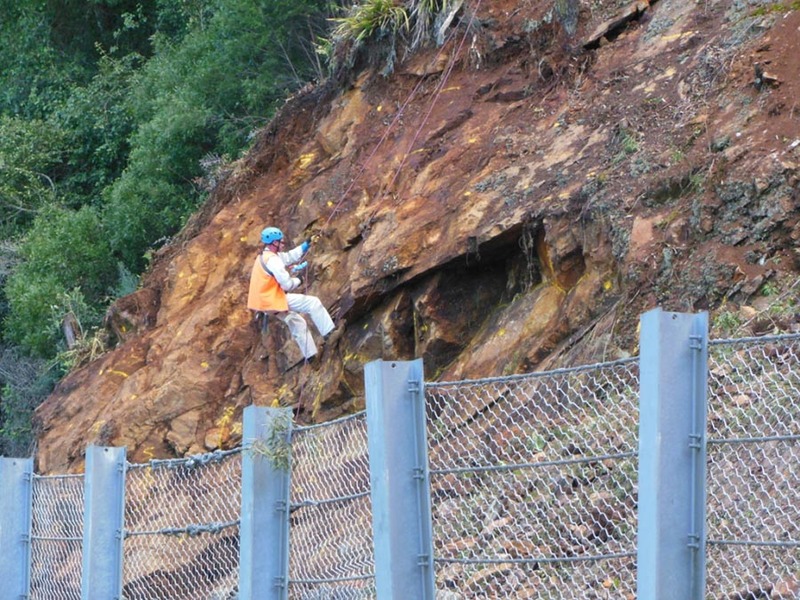 We are currently assisting RMS with slope stabilisation works at Clyde Mountain on the Kings Highway. The area has a long history of landslides driven by a coincidence of road geometry and bedding. 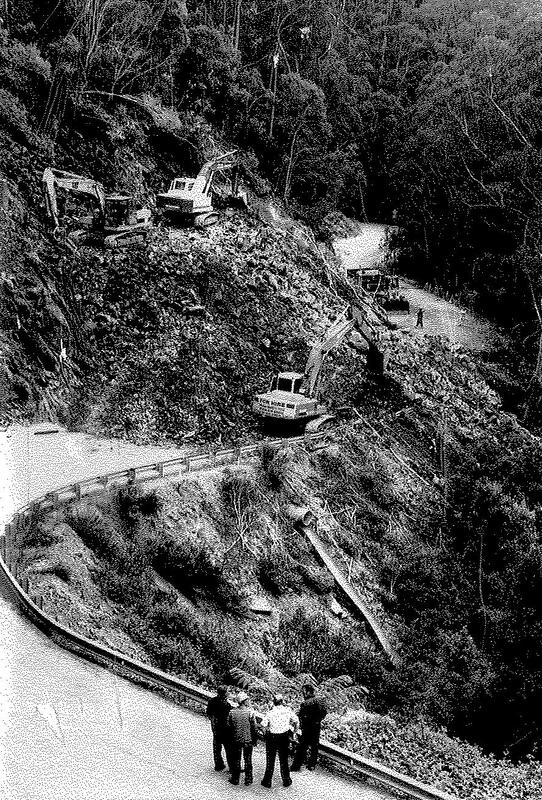 Widening works in the late 1950s undercut bedding dipping steeply into the road way leading to the current problems. Failures occurred during widening (1959-about 30,000m3), in 1993 (about 5,000m3) and last year (April 2012-about 1000m3). Marc Hendrickx assessing potential planar rock slide west flank of 1993 landslide. This material was successfully removed by machine scaling. More information about the project available through the RMS website.